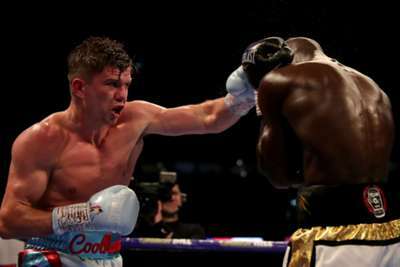 Luke Campbell earned a shot at the WBC lightweight title as he gained revenge over France's Yvan Mendy on the undercard of Anthony Joshua's heavyweight showdown with Alexander Povetkin at Wembley. Campbell, like Joshua a British gold-medal winner at London 2012, was handed his first professional loss by the teak-tough Mendy in December 2015. But the Hull favourite settled the score by margins of 119-109, 118-111 and 116-112 on the judges' cards, moving on to an overcall career record of 19 wins and two defeats. Mendy slips to 40-4-1. Stalking relentlessly forward behind a tight guard, Mendy sought to make Campbell just as uncomfortable as in their initial encounter but the 30-year-old – boxing under new coach Shane McGuigan – was astute in his work off the backfoot, particularly to the body. This paid dividends as an opponent three years Campbell's senior slowed in the middle rounds, with some frantic rallying in the final two sessions not enough to pull things back for the visitor. The bout doubled up as a final eliminator for the WBC crown, which American superstar Mikey Garcia is expected to vacate. British heavyweight David Price went down to a sixth career loss as a biceps injury curtailed his bid to upset the undefeated Sergey Kuzmin. Price was knocked out by Povetkin when they clashed in a five-round slugfest back in March and fellow Russian Kuzmin also ran into problems over four eventful rounds – most notably when a right to the temple left the visitor tottering in three. But Price had already aggravated a biceps problem by that stage and, after a back-and-forth round four, he was withdrawn. That went down poorly with the Wembley crowd but not to the extent the British cruiserweight clash between Lawrence Okolie and Matty Askin irritated the rain-sodden masses. Okolie won a unanimous decision to become the new champion despite 12 rounds of holding, fouling and spoiling that saw him have three points deducted by referee Victor Loughlin.